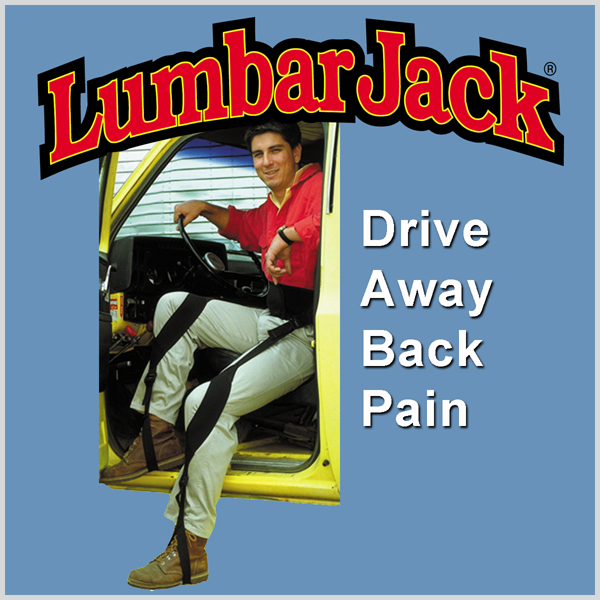 LumbarJack – Nada Concepts, Inc. 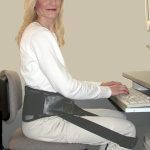 The LumbarJack is an industrial back support lifting belt that converts to an ergonomic chair back support or a driving back rest by snapping in separate accessory straps. 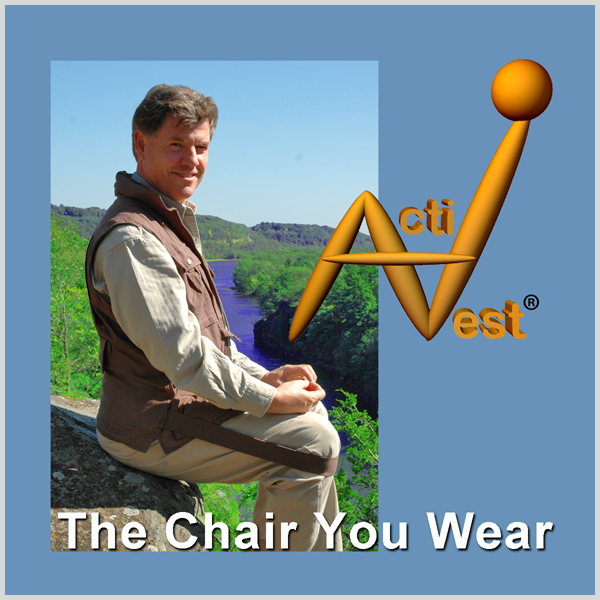 Now you can improve your posture while relieving back pain due to sitting long periods on office chairs or driving. 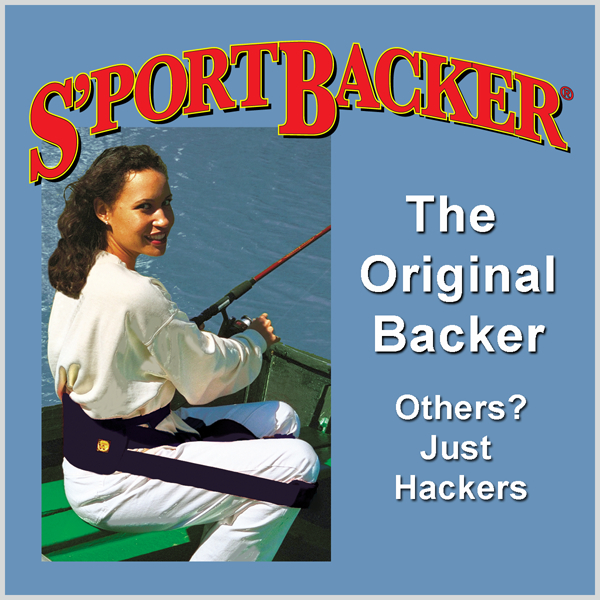 The LumbarJack is the most versatile of all our backsling products designed to provide dynamic support and comfort for the low back. 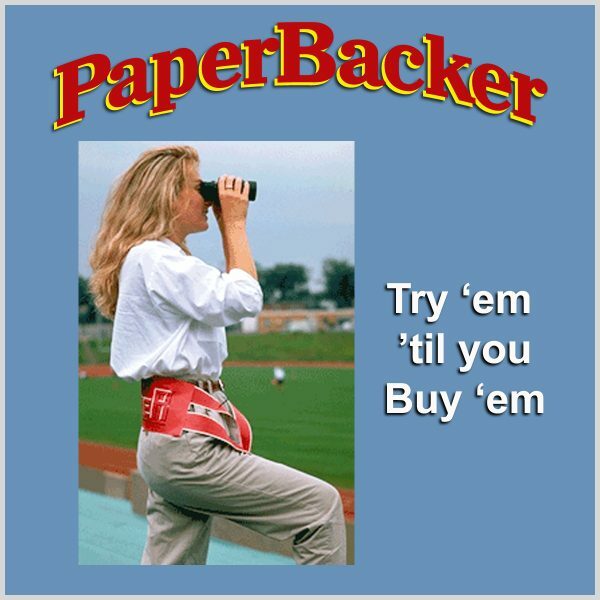 Starting with an industrial quality Lifting Belt, our LumbarJack includes Driving Straps that detour over the knee with elastic bands to engage the bottom of the feet. (See diagrams below) Absent automatic transmission, these are essential for unimpeded movement to clutch or brake. 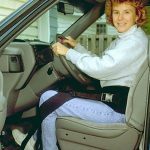 You can also order optional Sitting Straps that can clip into hip receptacles for convenient use at any other sitting situation where extension of your legs is not essential. 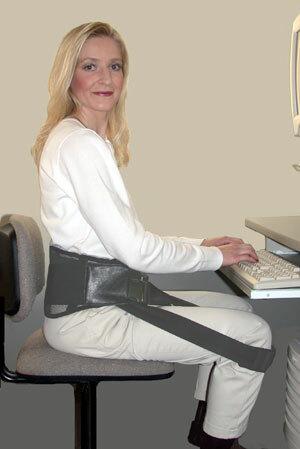 The Lifting Belt is sized by users waist measured over clothes. 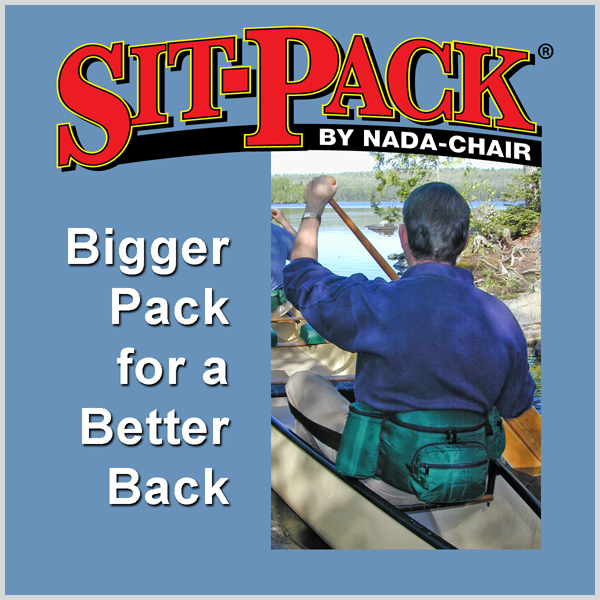 S:22”- 34” / M: 32”- 44” / L: 42”- 54”. 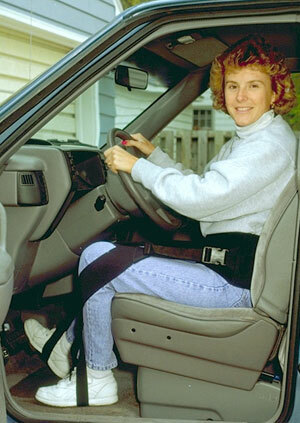 For extra large waist size, order the Large with Belex Accessory that expands the waist size up to 12″ more.